In the last article, we discussed about how to prepare the four-bodies while working with Soul Memories. In this article, we will be exploring how to maintain higher vibrations to hold the connection with Archangel Metatron. 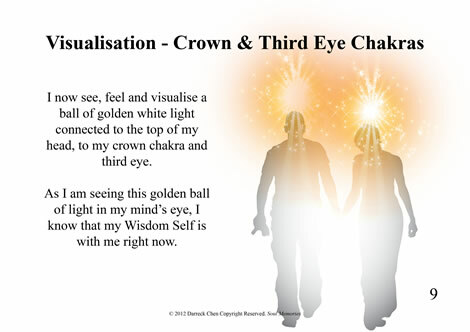 Our mind and heart are part of the instruments and vehicles to communicate with Archangel Metatron. Without a clear mind and heart, it is nearly impossible to work with the source. Non-Judgemental – always stay neutral with your client’s issues. Your clients may be having a very bad experience and seeks your help and may tell you about challenges like health, money and relationship issues. In this case, try to be an observer instead of quickly forming your own conclusions as it will affect your mind and block the connection. Faith & Trust – Your mind may start popping up questions to start doubting you – Am I working correctly? Am I asking the right questions? 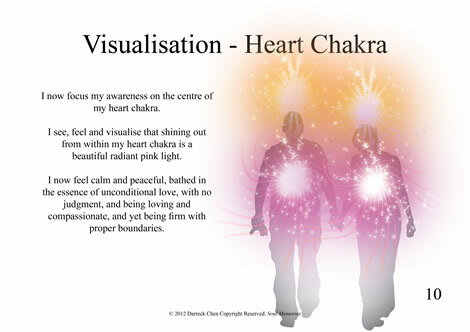 When you are holding trust in your heart and mind, it raise your vibration in your four-bodies. The higher the frequency you can hold, the smoother and more accurate is the communication with the source. The heart is quite different from the mind. The mind is able to create hundreds of thousands of thought forms a day and each thought form can trigger certain feeling that store in our heart and solar plexus. It is like lighting. A thought form runs so fast and most of the time we can’t catch it. The heart is just like water – it can be as peaceful as a cat or as fearful as a tiger. Sometimes a feeling, triggered by a few thought forms, may be expressed for days. For example, you have a fight with your loved one. The energy of hatred may stay in the emotional bodies for days or months as the emotional body always receives instructions from the mind on how we should feel. It is not easy and feasible to keep our mind and heart positive all day long while we are living in this modern world. But, at least try to keep it positive while we are giving a Soul Memories reading for the self and others. For me, I always try my best to maintain a positive feeling before I start using Soul Memories System or other healing modalities. If I have had a bad day, I will try to rebalance my energy by focusing on happy things. If someone just had a fight with me, I will forgive myself and others first or else these energies will be carried into the session and block the reading. What positive feelings do I love to express most to use as instruments with the source? I like to express Excitement, Sincerity, Curiosity and Innocence. I like to act these feelings out and let it fill up my body and hold it during the session. Why is there a need to hold these positive feelings within the body? There are hundreds of type of positive emotions. As long as it is positive and uplifting, it can be used as a channelling instrument with the higher source like Archangel Metatron. If we are not able to hold the positive energies within the body, then we are letting fear based emotions occupy our body. Fear is unable to work with the higher source. It will definitely break the connection no matter how hard we try to connect or how intelligent the mind can be. That’s why a positive mind-set with a loving heart is the key to unlock the channelling pathway to the higher source.